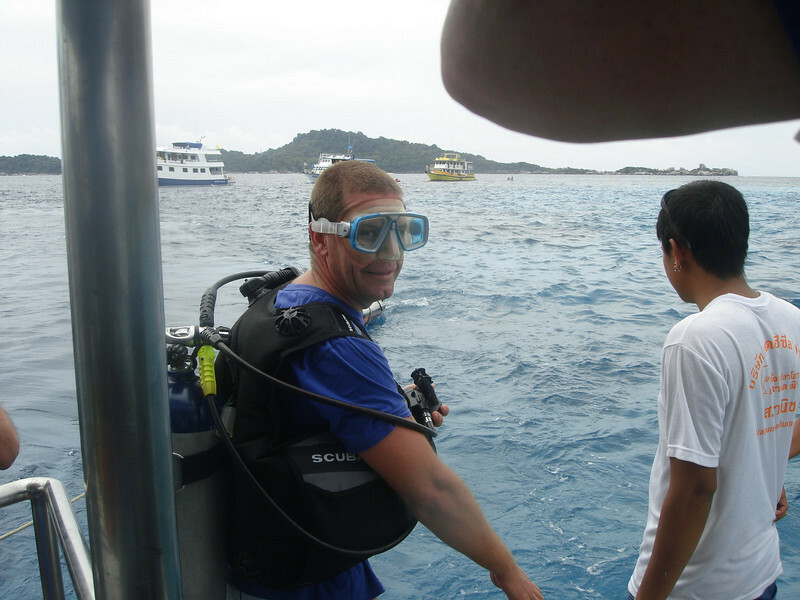 Adam organized another of his fantastic full-boat charters on the Cologna VI, right after the international Dive for Life event, this year on Phi Phi Island. As always there was a great group of guys, old friends and new, and wonderful camaraderie. And of course there were plenty of cameras in the water and tons of great shots taken below the surface and on deck. I sorted this compilation by date-taken, though camera clocks are rarely synchronized when we all converge from America, Europe, Asia and Australia for one of these trips.